Typically, this Penny Reid book is: authentic, relatable and brilliantly written with endearing characters, trademark humour and Reidisms galore (a little mystery, too). Not a fan of serials and cliffhangers, but all is forgiven because the two following books will be released quickly. The scenario for 'Motion - Law of Physics' is: good twin/bad twin and a swap of identities. As a major favour, one twin covers for the other and ends up spending time in the company of a pretty hot guy. The result is ... simmering attraction (on a low setting atm, but things will heat up as the series goes on, no doubt). Mona Da Vinci and Abram Harris are the MCs. (Abram is 'Knitting in the City' Marie's brother). Mona is young, nerdy, mega-smart and a sweetie. She's socially bewildered, not into glamor and interjects conversations with odd, but cute comments and quotes (her inner dialogue is a crackup). In addition, the circumstances mess with Mona's need for order and truth. Abram, so far, is a little bit of an enigma. He's also the opposite personality-type to Mona - messy and carefree, but a really nice, smart and honest guy. Despite their strengths, the two lovelies are both a tad vulnerable. In time, the deceitful situation becomes increasingly uncomfortable and complicated. Can't wait for the second installment! 5.0 out of 5 starsAmazing book series! Can't wait for more. I read this book while I was in a hospital and after an operation, a big mistake from my part because I couldn’t stop laughing from this fantastic story of pulling and push. 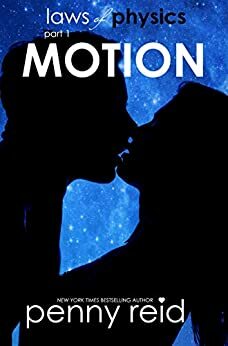 This book reminds the old movies of twins to change places and all the shenanigans involved, and this made love this book, even more, I love good drama and good shenanigans. Imagine identical twins change places Lisa and Mona did that, Lisa evil party girl, Mona is quiet settle genius mind, and I love her, can be her, jealous much? Now let us talk about the hot Abram, oh dear, what a piece of heaven, I think I swooned for him 100% in this book, he is dark at times, but he is kind, smart, witty, and he can melt your heart. I spent all night long reading this book, and I couldn’t be happier, and I saw the sunrise at 6 am with beautiful pink colours in the sky, and when the nurse came to my room and asked you didn’t sleep yet? I just laughed because the book just ended with this cliffhanger and I was WHAT!!! I need more, common Penny, don’t do that with me; I’m sick hahaha. I can’t wait for the second statement for this fantastic series. 4.0 out of 5 starsI need book 2! I am SO READY for Space, the second instalment in Law of Physics. SO READY!!!!!! Thank goodness we don't have to wait long. The cliffhanger wasn't as bad as what I was expecting, I had been preparing myself, but it definitely left me wanting more. I have major love for quirky, smart characters. Although Motion was a little angsty at times between Mona and Abram, there were some very amusing moments that had me smiling. I love Mona's 'anytime phrases' and her ingenuity when it came to her hair and the shower ( those that have read the book will know exactly what I'm referring to :) ). Abram - I can't wait to see what happens in the next book with Abram, how he reacts when he finds out about Mona, how it all goes down. I would have loved to get his POV to know what he was thinking, did he suspect at any stage that all was not what it appeared?? Bring on Space! A story where you gain a new friend, say hi to an old friend and learn more about an old friend’s family. I don’t read cliffhangers unless it’s by Penny Reid. The suspense is nail biting. I am looking forward to the next part. I recommend this book to all! I’m going on a knitting series hunt... Time for a RE-REID!! This is my first time reading anything Penny Reid and I think I'm hooked now. Mona, bless her cotton socks. I loved her. 5.0 out of 5 starsOh My Gosh ! Hooked from the moment I started the first page. I felt so involved, frustrated, happy, giggly and sad too. I had to read the whole book in one sitting. I just love anything Penny Reid and Im sure you will Not be disappointed either! 5.0 out of 5 starsARGGHHHH! 5.0 out of 5 starsPenny Reid strike again..
As this book is part 1 of 3 I was determine not to read it until all three books were released. I lasted four weeks before giving in. As with all Penny Reid's books this story is engaging, consuming and utterly smart. I recommend it for all lovers of intelligent fiction.